While it’s very beneficial to come to a class regularly, there is nothing like having your very own Yoga practice to really reap the benefits of Yoga in the most practical way; getting in tune with your own body & intuition, using poses that can help you balance what you do physically in your work, and learning how to find that magical inner calm no matter where you are. Regularity is what makes all the difference, but don’t beat yourself up if you miss a session – that doesn’t help. Every day is a new day. Just get on the mat again, without judgment, as soon as you can. Soon you’ll find you’re on the mat more and more often. Keep it realistic – don’t underestimate the power that even 15 minutes a day has to make a difference in your life. I’m not a morning person but I find mornings the best time to practice, and a hint that really helps me is: just don’t think about it too much! If you find yourself thinking about it, just physically get on the mat, even if you have to roll out of bed to do it in the morning with the alarm going off 15 minutes earlier than you used to set it, or even if you have to shove family debri and household mess aside to do some Yoga as soon as the kids are in bed. The days you feel least like it are the days you need it most. Once you’re on the mat, you’ll keep going, and you’ll feel better after. Listen to your energy levels, and begin with what you have. If you’re tired, lie on a blanket roll or put your legs up on a chair seat and watch your breath. If you’re restless, try a Warrior pose or hold a balance. Your practice should be whatever you need it to be. Just lie on the mat, if nothing else. If you keep your appointment with the mat, Yoga will soon take over and lead you. Do this for 28 days straight and it won’t even occur to you to think about it, you’ll just do it as an essential part of your day like breathing or eating. Yes, your family will likely laugh at you (or if very young, use you as interestingly shaped play equipment) at first. Stay calm, persist, and eventually they’ll get used to it and will either ignore you because it finally starts to get boring, or will join you if you make it fun. Little kids are great at doing the sound effects for Cat pose and Dog Pose, and love Sun Salutes if you make up a Sun song to go with them! You’ll be setting a great example of self-care that they’ll keep with them for the rest of their lives. There are also some great partner & family poses you can learn to practice together by coming to a family class or by having a private family session. Not sure what to do? For newer Yogis, you really can’t go wrong with lying on the floor in a comfortable position with enough padding underneath your back to be at ease, observing your breath until it feels unhurried & smooth, and then slowly, with a sense of gentle curiosity, moving each part of the body in turn from the ankles up – try circling your ankles, your hips, then sitting or standing to circle your shoulders and wrists, and experiment further. If you’ve had enough sessions to get to know the Yoga poses better & want to explore more deeply, try a balanced practice starting with breath awareness, one or two of our usual warm ups, then try a balance, a standing pose, a gentle backbend, a twist, and a forward fold. I’ve listed some extra resources at the bottom of the page, including DVDs and books. Many students book a private session to create a practice specially tailored for their bodies, temperament, and life. Make it your own & don’t worry about “rules”. Some people crave variety and change; if that’s you, try your favourite Yoga Asanas to different types of music (I love practising my Sun Salutes to reggae & my standing pose vinyasas to Salsa music, but that’s just me!) Or take your practice outside in the fresh air, on the beach or in the garden. If you prefer simplicity, choose just a few things & do them mindfully. Every Yoga pose helps with many other Yoga poses. Don’t wait till you have all the right gear and the right time & place (although that’s great to work towards). You don’t have to have a mat. Maybe the best practice for you is Handstands in the office at lunchtime, or 10 slow conscious breaths before you pick up your kids! If you are very busy though, it’s wonderful to clear a corner of a room to be a Yoga space and have your mat ready in it all the time, so you’re not dealing with the barrier of having to always set up first. There is no right or wrong in Yoga. I do sometimes get asked to work with new private clients to discover that they’ve put themselves in pain practising Yoga on their own, but this is often because they’re coming from a much more “hard-core” style of Yoga & trying to replicate that kind of class without any training in sequencing, or because they’re going for a “big stretch” (& haven’t been taught that Yoga is not about stretching) … or because they’re just generally trying way too hard! So just move in the easiest, most spacious (and definitely pain-free) way possible and make sure you’re breathing in an easy-going way. If you’re coming to Yoga with an injury or ongoing condition, it’s ideal to have a private session first to set up an approach that will help provide you with exactly what you need to move toward a more balanced practice. If this really is not possible, I don’t mind spending a few minutes chatting to you about what to make sure you include or avoid in your home practice. It’s an amazing gift, not a chore! Sometimes people say to me, “oh, you’re so good, keeping up a practice” and I want to say “no, it’s a luxury, an essential indulgence, an absolute joy and an oasis of bliss in my day, a compass for navigating my life, I can’t imagine going without it!” If you see your practice as something you think you “should do”, or “wish you were disciplined enough to do”, or something to add to your never-ending To-Do list, it won’t last long. See your Yoga practice for what it truly is: an opportunity to nourish yourself, mentally & physically; a gift to yourself, a priviledge and a conscious act of self-care that enables you to enjoy your best possible life. Check out my Healthy Happy Back E-Course for manageable step-by step techniques that you can choose from and slowly incorporate into your daily life. It’s completely suitable for beginners and anyone willing to slow down and take a gentle, easeful approach to rediscovering a healthier, happier back. Yoga Journal (Australian version) for podcasts & suggested sequences. 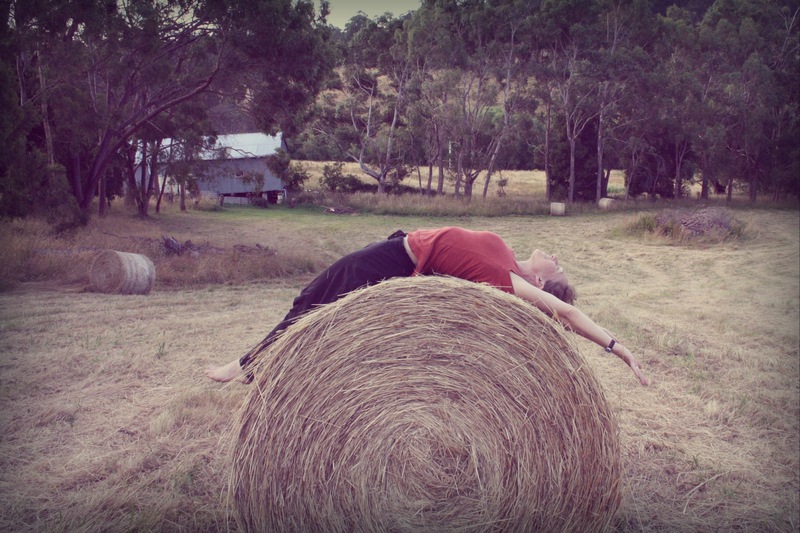 Australian Yoga Life Magazine often has practice sequences. Cashew Cacao Coconut Cranberry Christmas Balls!